Finding a solution to the territorial dispute and signing a peace treaty between Russia and Japan would be an impressive step and a symbolic end to the discord between the two countries, Vedomosti writes. However, now the handover of two small South Kuril Islands is unlikely due to political and image reasons because the moment has been lost. 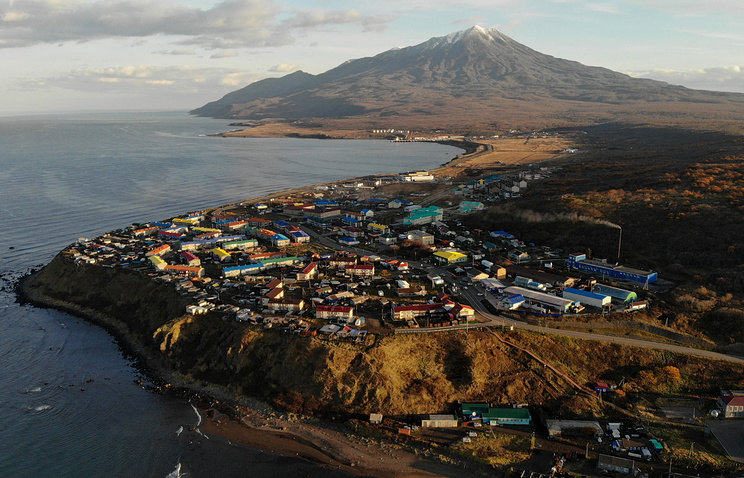 The South Kuril Islands issue requires a meticulous effort by both sides due to the difficult historical twists and turns related to the ownership of the territory, the paper says. The current situation dates back to August 1945 when Soviet troops took control of the Kurils and the southern part of Sakhalin Island. Since then the issue of these islands, which Japan calls "the Northern territories," has stonewalled the normalization of ties. The wish of Russian President Vladimir Putin and Japanese Prime Minister Shinzo Abe to sign the peace treaty is clear. 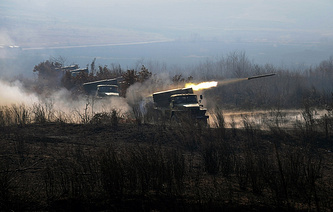 Despite the military alliance between Tokyo and Washington, and Japan’s joining the anti-Russian sanctions, its conclusion would ease the imports of advanced Japanese technologies and attract investments to the Russian Far East, Andrei Kortunov, Director General of the Russian International Affairs Council (RIAC), told the paper. The peace treaty would diversify Russia’s foreign policy in the Far East and help it avoid an excessive focus on China. Moscow earlier offered the "2+2" option, stipulating the return of Habomai and Shikotan while keeping Kunashir and Iturup, which have strategic importance for Russia. Japan insists that the "2+2" plan means handing over the first two islands and continuing talks on the status of the two other islands, chief of the TASS bureau in Japan Vasily Golovnin noted. A compromise is possible under the "2+2" formula, which implies providing Japan with the opportunity to freely pursue economic activity, Kortunov said. Now the situation for solving the territorial dispute can be hardly called favorable since the moment for it has passed. What was possible in the 2000s, when Russia agreed to hand over territories in the Khabarovsk Region and the Chita Region to China is very unlikely now not just due to hopes for a strategic alliance with Beijing, the paper says. The Kremlin has made good progress in reviving the imperial mood and confirming the thesis about the inviolability of the outcome of World War II. Any territorial concession after Crimea’s reunification with Russia would harm Putin’s image as the unifier of the Russian lands and increase discontent among his traditional allies. Kommersant writes that this week Japan eased its position on the Kuril Islands, agreeing to resume discussions on handing over only two out of the four islands. Kremlin Spokesman Dmitry Peskov said the progress in discussing this option depends on whether Tokyo would provide guarantees on the non-deployment of US troops to these territories. According to the Asahi Shimbun newspaper, Abe has promised this to President Putin. Apparently, doubts whether Abe’s successors would be committed to these agreements could be a key stumbling block at the negotiations. Participants of the two-day Asia-Pacific Economic Cooperation (APEC) summit, which ended in Papua New Guinea on Sunday, had faced hurdles in adopting a final declaration for the first time ever, Izvestia writes. The APEC Secretariat’s representatives said that due to some significant differences, the document had been endorsed without some controversial points, but the text would be published later. The major obstacle for inking the declaration at the summit was the issue on reforming the World Trade Organization (WTO), experts interviewed by Izvestia said. Russian Prime Minister Dmitry Medvedev told the APEC summit that global economy needed clear and transparent rules of trade. Head of the Russian Federation Council’s Committee on Economic Policy Dmitry Mezentsev stressed the importance of Russian President Vladimir Putin’s initiative on setting up the Greater Eurasian Partnership. The role of this idea is gaining ground because a number of countries are being targeted by illegal economic sanctions and some states have been pulled into trade wars against their will, he told the paper. This violates the guidelines, which had been built by the WTO over many years. According to Tatyana Flegontova, who heads the Russian APEC Study Center, some controversial issues may be discussed at the upcoming G20 summit in Buenos Aires. Russia will outline its vision on reforming the WTO, the expert said. Representatives of the Russian Economic Development Ministry confirmed this earlier. Andrei Ostrovsky, Deputy Director of the Institute for Far Eastern Studies at the Russian Academy of Sciences, said another reason, which hindered the signing of the final document, was the disruption of the so-called Bogor Goals, which were agreed on at the APEC summit in Indonesia in 1994. They envisaged building a free and open trade and investment system between the region's developed and developing economies. It will be impossible to reach these goals by 2020, he explained. "The sides have been unable to agree on how and who would eliminate trade barriers in the region." Helsinki backs Russia’s membership in the Council of Europe and is determined to work with all of PACE’s members. Finland’s major goal during its presidency (from November 21, 2018 to May 17, 2019) will be sorting out the organization’s current crisis, the country’s Foreign Ministry told Izvestia. Finnish MPs in the Parliamentary Assembly of the Council of Europe (PACE) oppose Moscow’s withdrawal from the organization emphasizing the need to restore the Russian delegation’s powers. A Finnish delegate to PACE Sirkka-Liisa Anttila said a decision of any country to leave the Council of Europe affects both the organization’s work and the human rights situation in Europe. The Finnish delegation’s participants noted that the current situation in the Council of Europe "raises issues, which need to be urgently ironed out." To overcome the crisis, it’s necessary to ensure the equal participation of all member-states as envisaged by the organization’s charter, they said. The Finnish parliamentarians opposed Russia’s exit from the Council of Europe and stressed the need to find a solution to the Ukrainian crisis jointly with Moscow. "We should work with Moscow, which among other things involves reaching a comprehensive settlement of the crisis in Ukraine," Sirkka-Liisa Anttila said. Another Finnish MP Anne Kalmari told the paper that not all countries back Russia’s withdrawal from the Parliamentary Assembly. "I do not share the policy of isolation and I’m absolutely sure that Russian legislators should return to work." Moscow hopes that Finland’s presidency in the Council of Europe will bring progress and solve the current crisis. Over the past several years, thanks to Russian and Iranian assistance, Syrian President Bashar Assad has succeeded in restoring control over the country, but the stability of the government in Damascus is elusive since the Syrian Arab Army, which is loyal to it, is very ineffective and has been almost totally decimated, RBC writes citing a report by the Istanbul-based independent think-tank, the Center for Economics and Foreign Policy Studies (EDAM), authored by Can Kasapoglu. Amid the army’s breakdown, the pro-Iranian military formations are gaining ground, the report said. Iran relies on the strategy of taking advantage of the power vacuum, which has been used earlier in other countries such as Lebanon, Iraq and Yemen. In Syria, Tehran seeks to form a permanent group, but this is possible only if the Syrian regime remains weak and military conflict keeps raging in the war-torn country. Russia, on the contrary, wants consolidation in Syria in order to launch political negotiations to settle the conflict, the study says. However, in order to stabilize the situation in Syria, Russia will have to unite the army and establish a single chain of military command. So first, to reach this goal, strong military leadership is needed, and secondly, to achieve peace, Moscow will have to force the Iranian military out from the Syrian security zone and contain the pro-Iranian forces active in the country. However, Russia won’t openly counter Iran. Instead, it will try to turn the Syrian Arab Army into a structure that will engulf isolated groups and restore balance in the country. Moscow is betting on General Suheil al-Hassan, the commander of the elite "Tiger Forces," who may use his authority to unite the Syrian command and who is pro-Russian unlike other military leaders. Taking advantage of Moscow’s support, General Al-Hassan could try to take control of the army, Russian International Affairs Council expert Kirill Semenov said. However, there are too many opponents of the idea of uniting the Syrian army under the general’s command, he told RBC. Iran is the key opponent of this plan, and other Syrian military leaders, including the president’s brother Maher al-Assad, will counter the general’s growing influence, the expert said. 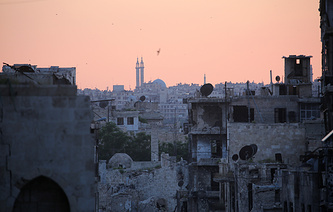 Expert at the Russian Council for International Affairs Anton Mardasov noted that it’s no secret that al-Hassan is one of Russia’s key allies among Syrian military leaders. With Moscow’s support he could unite the army, but several obstacles hinder this, namely Iran’s stance. Tehran provides loans to Syria and its representatives buy real estate in the country, while instructors and advisers of the Islamic Revolutionary Guard Corps work with the regular army, the expert noted. China’s CEFC paid only 225 mln euro to Qatar’s QIA and Swiss Glencore in compensation for failing to purchase a 14.2% stake in Russian oil giant Rosneft, Kommersant writes. The deal was canceled in May after CEFC Chairman Ye Jianming came under investigation by Chinese authorities and also due to the company’s financial problems. In June, Glencore CEO Ivan Glasenberg spoke about a much greater compensation of $400 mln. After the cancellation of the deal with CEFC, QIA purchased the Rosneft stake, which was increased to 18.93%. The fund paid Glencore 3.7 bln euro, and the trader has just 0.57% of shares. According to sources from Reuters, Russia’s VTB provided a loan for the deal, but both the bank and Rosneft denied the report. Although the compensation was less than expected, the deal may be considered beneficial for the stake’s buyers. Now the Russian oil company’s shares, which were purchased by Glencore and QIA, are valued at 11.72 bln euro, some 1.5 bln euro more than the deal’s price tag of 10.2 bln euro, expert at the Analytical Credit Rating Agency (ACRA) Vasily Tanurkov said. Besides, in 2017-2018, dividends on these shares reached 856 mln euro, the expert noted. So, over the past two years the buyers have earned nearly 2.38 bln euro. Under the deal, Glencore secured a contract on oil sales to the tune of 220,000 barrels per day, bringing in revenues of 100-200 mln euro.